Some implementations reflect TOKEN1, thus this can lead to XSS. But only if the browser interprets it as HTML. It's a module that enables XSS attacks. Parser code is based on an old fork of the "file" utility. If file extension is in /etc/mime.types use that. Else try to guess MIME type. Any web application that allows uploading files with an unusual extension not in /etc/mime.types has Cross Site Scripting. Server will guess MIME type (e.g. if it starts with <html>) and send it as text/html. Only globally, no option to disable it per host or directory (can't be disabled by customers on shared hosting). But if we disable mod_mime_magic we're good? It can guess MIME types, too! If file with HTML is sent without a MIME type the browser will render it. So we can disable MIME sniffing in the browser? Firefox and Edge will render HTML without a MIME type even with "X-Content-Type-Options: nosniff". What can web applications do? Good luck with that: Every Linux distribution has its own version of mime.types. What could server administrators do? Always send a MIME type? 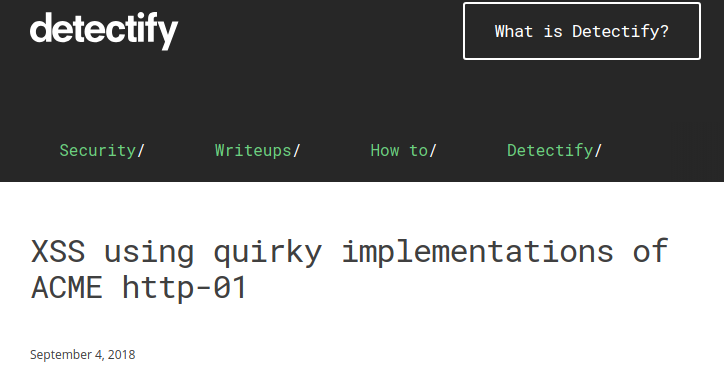 Let's set a safe MIME type (e.g. text/plain or application/octet-stream) for every unknown file extension. Has been removed in Apache 2.4.
nginx sends application/octet-stream by default. But wait, Joomla thought about this: They sniff the content themselves and block HTML uploads. Joomla uses libmagic (through PHP), which has a different HTML sniffing algorithm than browsers and Apache mod_mime_magic. It's possible to create an HTML file that libmagic won't detect as HTML, but browsers and Apache will. User with upload permission can upload .3g2 file. Debian and Ubuntu don't have it in mime.types. MIME sniffing - server and client side - can easily lead to XSS. Disable mod_mime_magic. It's inherently bad. Web application developers have no easy way of avoiding this issue. W3C standards tell us we shouldn't mitigate this server-side. 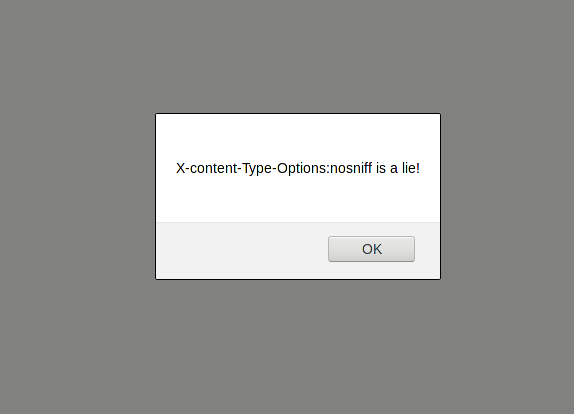 "X-Content-Type-Options: nosniff" doesn't help in half of the browsers. Please set "X-Content-Type-Options: nosniff" anyway, it helps in Chrome, that's better than nothing. I'd like to hear more ideas what to do about it.